“Let the pain crack you open.”-Michaela Haas, “Bouncing Forward"
I remember hearing those words for the first time. I was numb, yet somehow able to take them in. New normal is a term oftentimes used in referring to life after loss. It has an energy of acknowledgment that something indeed has changed us. That we are never going to be the same. And that moment of acknowledgment made me go into a mode of resourcefulness. Seven years later, the words “new normal" bring me back to that moment. If I could tell myself one thing to expedite our healing, it would be that we get to define our new normal. Choose one word to guide you. When you explore how you most want to feel each day, define that feeling in one word such as peace, loving, strong or purposeful. Begin making choices by measuring opportunities against that word. Will participating in this get-together help me feel at peace? Will allowing myself more down time make me feel strong? Give yourself permission to make new choices that align with that one word. Make note of your progress and allow yourself to adjust as you get better at this. It’s amazing how the clarity of one word can help you make healthier choices with less angst. Those healthy choices build on each other and establish a strong foundation for healing. Revisit things that have healed you in the past AND stay open to something new. We forget just how resourceful we can be, especially when we’re in survival mode. By asking yourself what has been most healing in the past, you challenge yourself to "look for the good” in previous trials. Bring back your favorite exercise routine, stress-reducer or daily practice. Research new things to try. And definitely be gentle with yourself through all of this. The benefit of this tip is to find ways to get yourself grounded, centered and strong so that you feel less anxious and more supported as you heal. 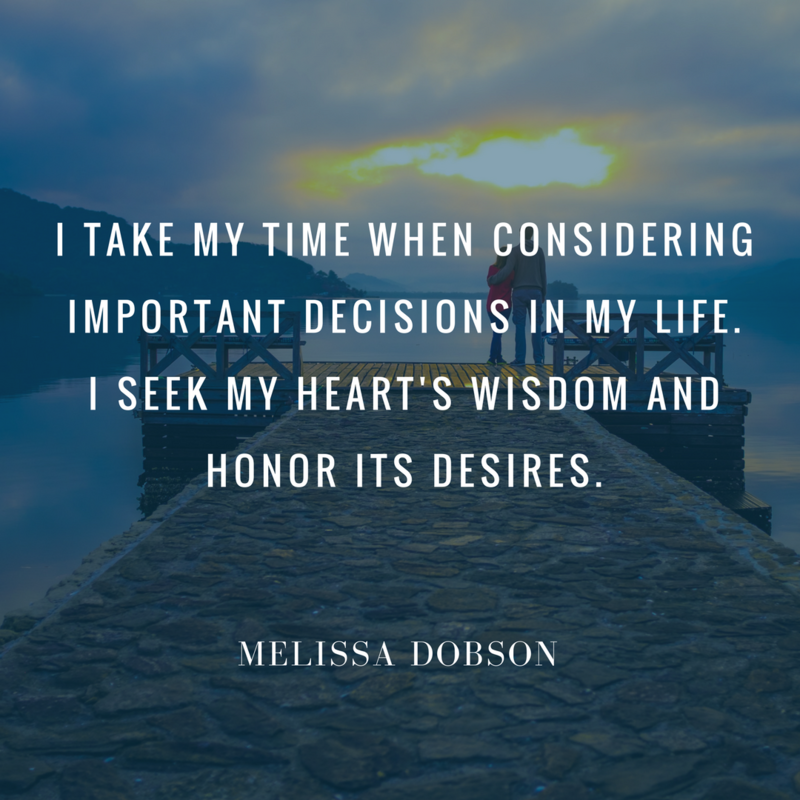 Remember, we get to make loving choices for ourselves. We get to prioritize our own healing so that we become an example for others. 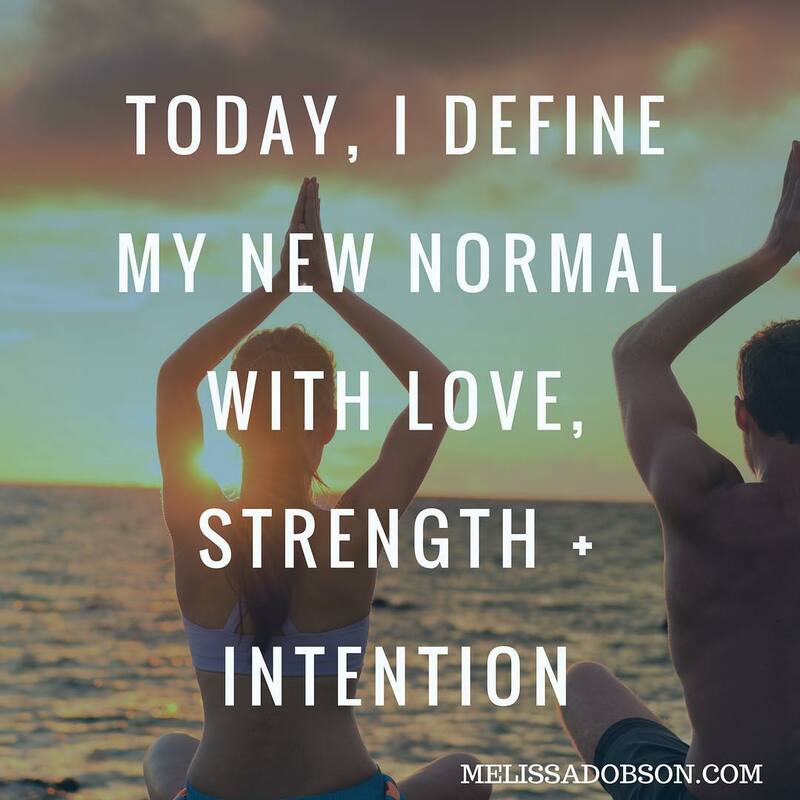 We get to define our new normal with love, strength + intention. Tell me, what one thing will you commit to after reading this post? Email me at [email protected] or post on my Facebook page.